Hundreds of visitors are expected at the world’s oldest intact operational lighthouse, standing at the entrance to the Suir estuary and guarding the approach to Waterford harbour. The Gathering of Lighthouse Keepers weekend includes a reception on Friday evening, talks by lighthouse experts, guided tours and a dinner, followed by Irish music and fireworks. Ticket-only events (from €10) may be booked via hookheritage.ie. Sunday is a free festival fun day with sea shanties and local food and crafts showcases, plus family-friendly entertainment such as stilt-walkers and kids’ activities. 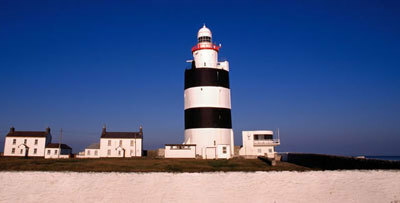 Get there with Irish Ferries, sailing from Pembroke into Rosslare, which is only an hour’s drive from Hook Head. Fares start at £79 each way for a car and driver, with additional adults from £28. Irish Ferries Holidays can also arrange accommodation in local hotels and B&Bs. For more information, visit irishferries.com.